Yes, you can’t deny the privilege of wax finish on the hardwood floor, but you can’t deny the problems it brings either when the finish gets old or worn out. And let’s not forget the wax that was formed from melting candle, shall we? It’s mandatory to get wax off the hardwood floor when it’s getting on your way, and you don’t need to hit up some professional workers for the removal. Removing wax from hardwood surface is super easy, and it can be done following several tactics. Here, I am going to discuss the most effective and easiest ones. Let’s jump in! 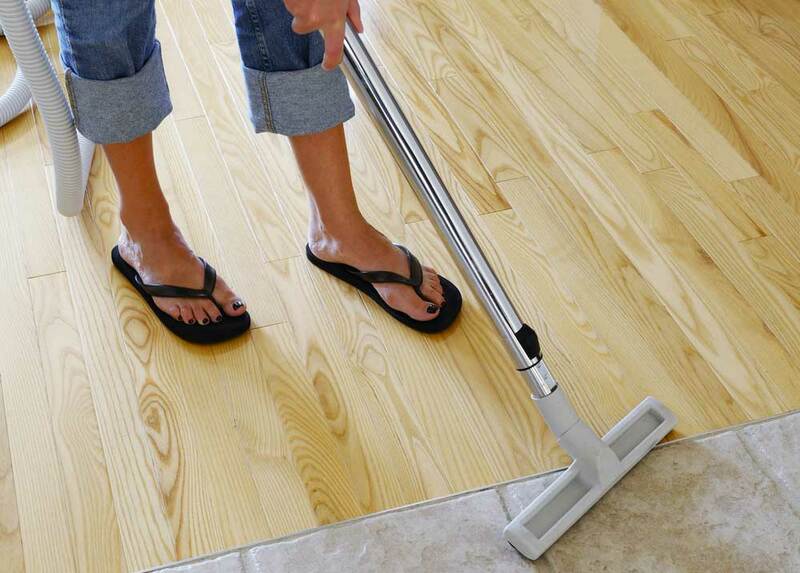 Need to get some stubborn dry filth off the hardwood floor? The first picture that will pop in your mind will be of either a spatula or a scraper. And you’re picturing absolutely the right tool! You can’t wipe dry wax off the floor, that’s not how it works. First, you got to bring it to the convenient state for wiping. And for that, you’ll have to get rid of the maximum amount of wax, this is where the scraper or spatula comes handy. Here, we’ll advise you to go with plastic scraper or spatula. Because metal will be too extra for the problem; and since we’re talking hardwood floor, you don’t want to damage it with a solid metal object, do you? If you have a scraper or a spatula, that’s good. But what if you don’t? That’s okay, you can always go to a hardware store to get one. Or Walmart, always packed with everything you need. However, if you’re up for the following, or want to get through without purchasing a new spatula or scraper, a knife will work as a splendid substitute. Well, knife, scraper or spatula; in the end, they all fall into the same category, right? You can use any knife from your kitchen counter. Just remember, the handle has to be tough enough to withstand the pressure required for scraping. Metal wool aka steel wool is a fantastic tool for removing the last bit of sticky dry stain from the hardwood surface. When you’re done scraping or primarily wiping, a little amount of wax will still be there stuck on the surface, you’ll need steel wool to get rid of that final bit. Before applying any chemical, the surface will need to be cleaned. The same is applicable for wiping the melted layer. So, either way, you’ll need clean wiping cloth. Once you’re done with scraping, something will be needed to sweep all the dried debris out of the surface. Now, scraped dried wax is nothing but a collection of dust particles, is it? Paper is the most effective medium for soaking melted wax. So, we don’t think the necessity of a paper towel or paper bag requires any further explanation. To get rid of the wax, you will have to separate it from the floor first. The wax needs to be melted for doing so. Heat producing equipment like iron or dryer will melt the layer, this will make your work easier. Not mentioning something like a lighter, because that will most probably leave burnt marks on the floor. In case you don’t want to wait for the wax to melt by heat, you are always welcome to take a different route. Wax removing solutions are available in the market that turn the wax into a soft gooey stuff which can be wiped off in no time. Once you’ve gathered all the stuff you need, it’s time for you to get the job done. Yes, no matter what way you choose for getting wax off the hardwood floor, you’ll require to scrape it off first, and then apply the method you find convenient. Wax is one stubborn material, you can’t wipe it off or sweep it like other dry particles. Melted wax is sticky and it sticks really bad to the floor. So, scraping is mandatory without any second thought. Well, there is one method you can follow where you can pass without scraping, but let’s discuss the common ones (involving scraping) first, shall we? Take the spatula or scraper and start scraping. The difficulty of the said task depends on the wax’s thickness or the sticky state other times. So, it’s hard to estimate how much effort (or time) it will take to scrape enough wax off the floor. However, you mustn’t give up. The wax needs to be reduced as much as possible, otherwise wiping it off won’t be possible by applying the following methods. Sometimes you’ll need to scrub the layer with steel wool. When you’re done with scraping, sweep the dry little wax particles. Now you can choose from several options to go with. The sole purpose is to soften the wax layer. The tactic for doing so is up to you. Iron It: Put a dry piece of paper or cloth over the layer and iron it. Like you do while printing something on a shirt. This way, a big proportion of the layer will come off the floor and get attached to the paper or the cloth. Repeat the same process several times to get the whole wax finish/layer off the floor. Melt It: Use a heat producing equipment other than iron and melt the layer with it. Use Chemical Solution: Apply the solution on the wax layer, the chemical inside will immediately react with wax particles and make the layer soft, ready for a wipe. Take a piece of cloth or paper and place it over the softened, melted layer. Give it a good rub/wipe to get rid of the finish permanently. You can use chemical spirit for direct cleaning. Just apply it over the surface and start wiping/rubbing using a cloth. Don’t use a paper towel since it’s too weak for the spirit. In the end, we have only one thing to say, when you have the right equipment and following the right method, removing wax is not that much of a difficult job. You may also like to read: how to stop furniture from sliding on wood floors and how to protect wood floors from rolling chairs.